It's the loudest 72 hours of music, right in the heart of Atlanta. Enjoy the sounds and sunshine in downtown Atlanta April 3 - 5. 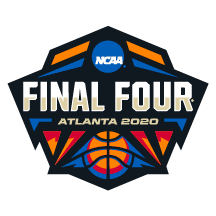 Brought to you by NCAA Corporate Champions and Partners, March Madness Music Festival Typically Starts in the late afternoon and will jam on into the evening. The music festival is FREE and open to fans of all ages. With past artists such as Katy Perry, The Chainsmokers, Maroon 5, Bruce Springsteen, The Zac Brown Band, Kenny Chesney, Fergie, Rihanna, Imagine Dragons and Kings of Leon you'll want to come down early to save your spot. By clicking "submit" you agree to receive notifications from NCAA and it's partners. Since 2010, the Final Four experience has included much more than Basketball. Each year the March Madness Music Festival features a diverse range of bands and artists who draw more than 130,000 festival-goers annually. The three-day festival began with five featured artists, and has grown to 19 acts in 2018. Locals and visitors alike flock to the FREE festival that features AT&T Block Party on Friday, performances presented by Coca-Cola on Saturday, and the Capital One JamFest on Sunday.